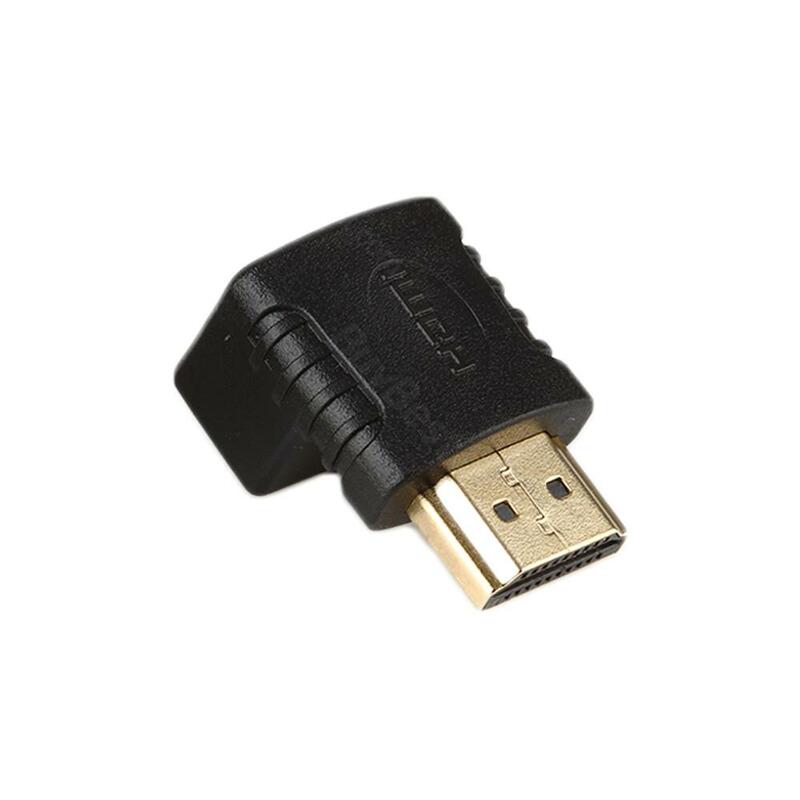 HDMI M to HDMI F Angle Cable Adapter, which comes with gold-plated connectior, has portable size for easy carry, Just take it. 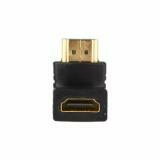 This is the perfect adapter for HDMI female to Mal adapter. 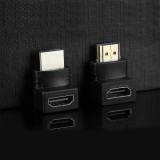 It comes with gold-plated connector which is anti-oxidation, corrosion resistance and durablility. 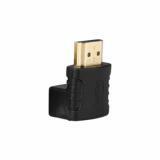 • Quick link: F Angle Cable Adapter Gold-plated Connector. I use a Samsung TV as a second monitor. Previously, it had been attached to an old video card via a VGA connection. It was set to 1920 / 1080 / 60 Hz resolution and looked fine. When I upgraded the computer I went with a EVGA GTX970 and connected the TV to the HDMI port. It looked terrible: barely legible print, smeared icons, overscanned etc. I bought a cable and connected it to the Displayport, which was just as bad. The same went for the DVI connection. Finally I got this little adapter, which allowed me to go from the DVI output on the graphic card into the "Computer (VGA)" connector on the TV. 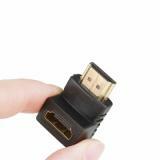 Decent construction, handy little adapter, and very acceptable pricing! I especially liked the seller's proactive help with order issues. Nothing fancy--no gold connectors, etc.-- but not necessary. It does what it is designed to do, which is adapt a full-size HDMI cable to a micro-size HDMI connection. Have not noticed any issues so far. 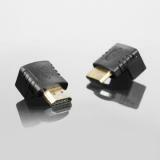 It's hard for me to buy this kind of Cable Adapter in my local shop. Thanks to buybest for offering the little gadget. Convenient to use. Nice quality. Fast delivery, works great. Nice tight connection. Very good price and nice quality. This Cable Adapter is just what I expected. Perfect fitting product. The connection is really sturdy. Flexible, really handy, well made. I would recommend it. This Angle Cable Adapter works as described. It Works as needed, with good fit and nice quality. Highly recommend.